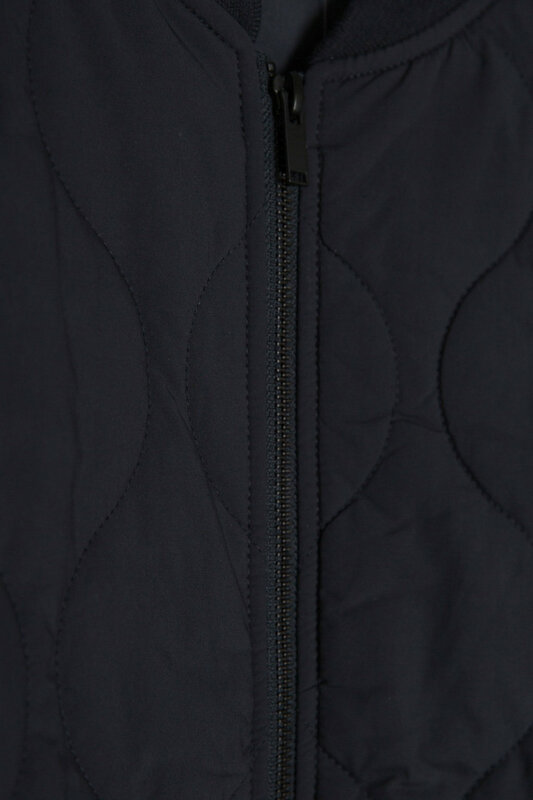 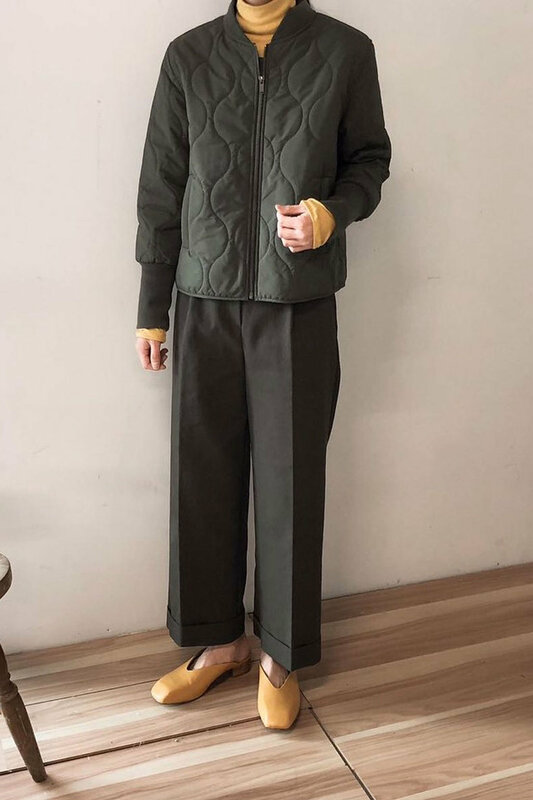 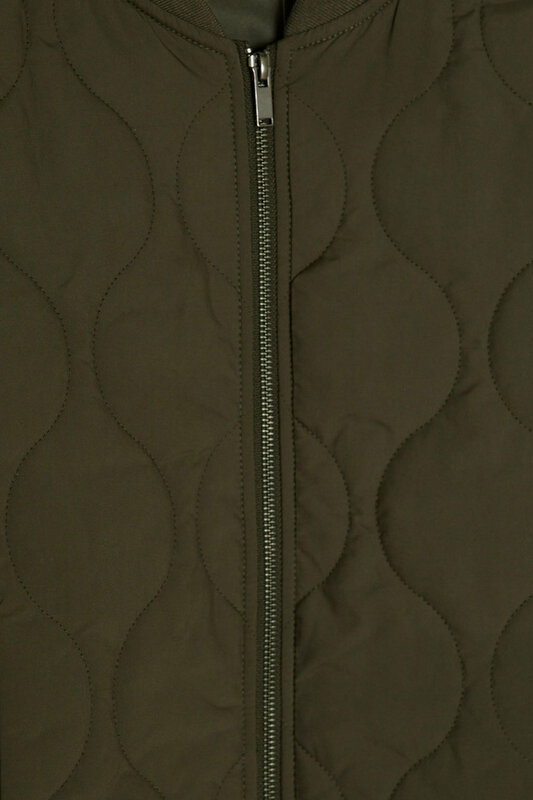 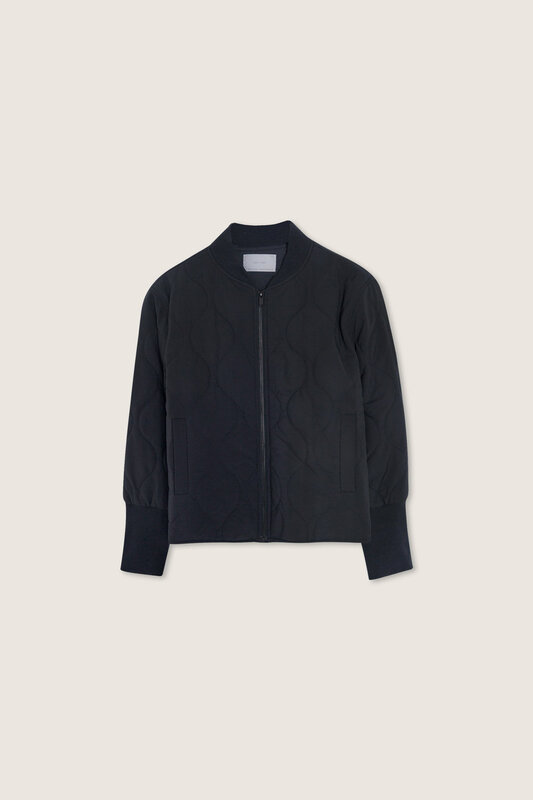 Cut from a lightweight quilted shell, this short bomber jacket style combines utilitarian design with a minimalist and modern aesthetic. 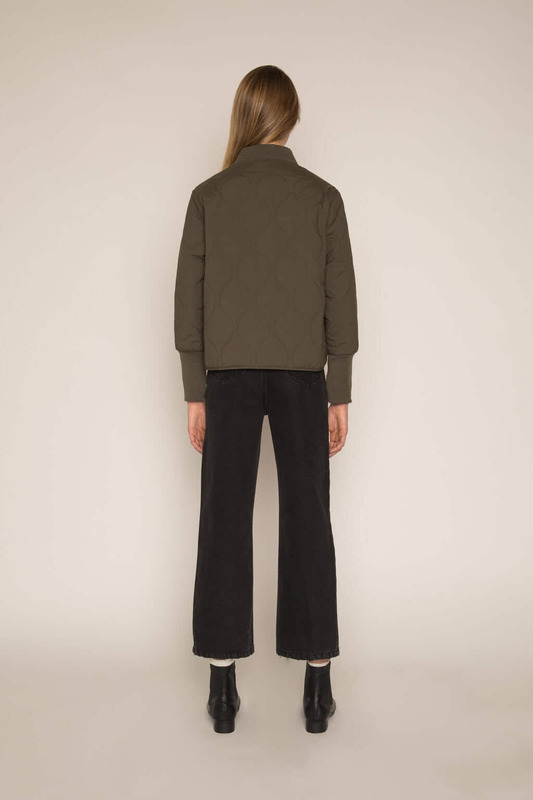 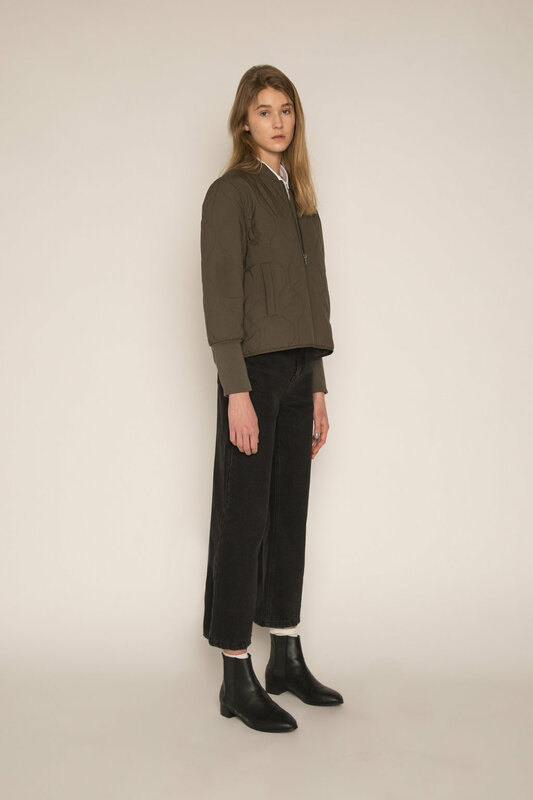 The elongated ribbed cuffs adds a playful touch that contrasts the classic boxy fit of the jacket. 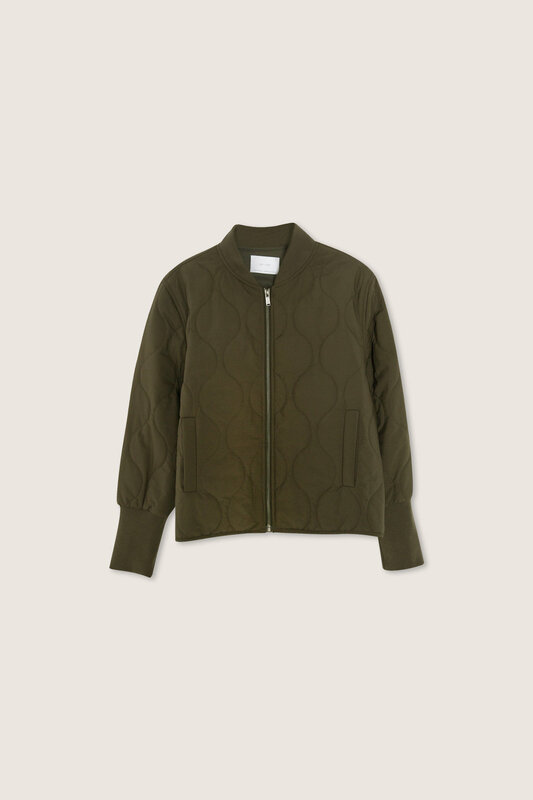 Layer this under a heavy wool coat or wear on its own and pair with denim or a maxi dress.